They watch our children while we go out to a wedding, or to a restaurant to eat. They will often agree to come on a moment’s notice. And yet, at times, we will violate Torah commandments in how we treat them financially. Often the ninth or tenth grade young lady who is baby-sitting will just answer, “Sure, no problem.” Deep down, however, she is not too pleased about not being paid when it was expected. It is a Torah prohibition not to pay a worker on time – or on the day in which the service was performed. Making a blessing on the Lulav and Esrog on Sukkos from day two and onward is a Rabbinic Mitzvah. But paying a baby-sitter or other worker on time is actually a Torah commandment. In fact, there are no less than five commandments that are violated. These laws are found in Choshain Mishpat section of Shluchan Aruch (339:1). So what are these five prohibitions? 1] Lo sigzol – do not steal 2] lo saashok s’char sachir – do not oppress the wages of a worker 3] lo saashok es rayacha – do not oppress your peer 4] lo salin pe’ulas sachir do not leave over the wages of a worker and 5] lo savoh alav hashemesh – do not let the sun pass over him. The Shulchan Aruch adds the words, “it is as if he has taken his soul.” This is based on the Gemorah in Bava Metziah 111a. It is quite a serious statement. Even when the employees are minors – the prohibitions are still violated (See Ahavas Chessed 9:5 written by the Chofetz Chaim). The prohibition is violated whether or not the employee is Jewish (See CM 359:1, 9 and Shach 359:3). In contemporary times this applies quite appropriately to young baby-sitters. There was also a case in Brooklyn where the parent told the baby-sitter, “Well, don’t you have chessed hours? Why don’t we call it even then.” This is out and out genaivah – theft. “One parent actually paid me with food and not money. What was I supposed to say?” This may actually be a form of gezel – theft. The reason is that although we do say “shaveh kesef k’kesef – the value of money is like money” when it comes to betrothing a bride – the same is not said regarding paying someone. The value of the food is not readily marketable. Simply because the baby-sitter acquiesced is not an indication that they are “okay” with it. There is another section of baby-sitting and how we treat them that involves the Mitzvah of v’ahavta l’rayacha kamocha – loving your neighbor as yourself. Some of us may not be aware of how things look like from the perspective of the baby-sitter. 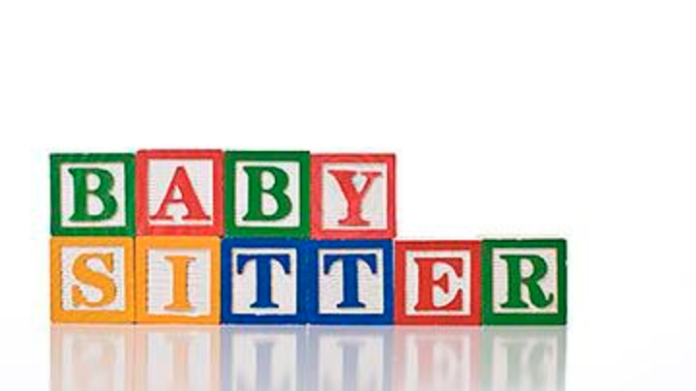 Below is a list of pet peeves culled from the experiences of a number of baby-sitters. Feeling awkward. Sometimes the parents are unaware of feelings of awkwardness that the baby-sitter may be feeling. One baby-sitter remarked, “It is annoying when you come on time and then they take a long while to leave. It is very awkward to hang around the parents.” If possible, we should be sensitive to ensuring that people do not feel out of place. A younger baby-sitter remarked, “When you are little they don’t treat you like an adult and they just give you an amount of money that they just made up– and you expected and wanted much more.” If it is less than the going rate that may be a halachic problem as well. On the other hand, there may be different rates for different ages. And then there is the fact that a number of parents rush out with no pre-written instructions. The babysitter must often find the wipies and diapers herself – but there is more. “They tell you that you can take any food – but they don’t tell you where the cups are. Then you open up every cabinet and then you notice that there is a nanny-cam in the kitchen that you didn’t even know about.” One might have thought that not telling about a nanny-cam may be a form of hezek riya – intrusive damage. Poskim consulted for this article thus far have ruled that although it is allowed – one should, out of mentchlechkeit tell the baby-sitter that they are there. “Dirty diapers should be paid more.” One babysitter makes the parents come home if there is a dirty diaper (but only if they are the neighborhood). “I hate it when the homes do not have house phones. What if there is an emergency and for some reason my phone isn’t charged or stops working? Also, some of the baby-sitters share a phone with a sister, or don’t even have their own phones. What are they supposed to do? The author can be reached at yairhoffman2@gmail.com. Please feel free to submit any thoughts or content. I’m appalled that this article even needs to be written? Whatever happened to mentschlichkeit and plain common sense?